Cosmoprof Bologna becomes more fun every year. 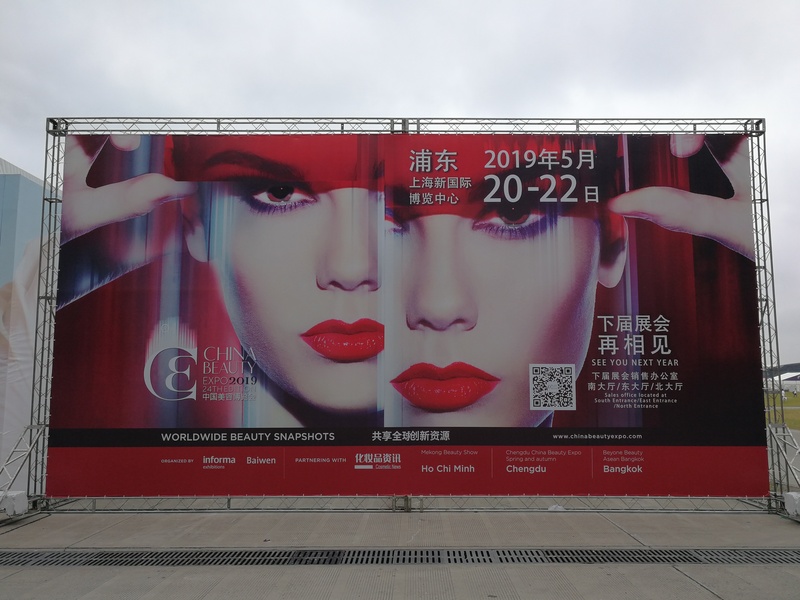 This was my third visit to the world’s biggest C&T trade show (well, the fourth if you count my Cosnova-sponsored overnight visit from 2016 – and while I’m at it, here are my trade show reviews from 2017 and 2018!). By now I know the basic layout of the halls (although I still get lost in the CS (Centro Servizio – press office, event rooms, store, pharmacy, post office etc.) every single time because the different sections are just so badly signposted!). I know which buses go to the trade show from the city centre (an important consideration when selecting my accommodation!) and, almost more importantly, which of these bus lines are diverted on the weekends because Bologna’s historic city centre turns into a pedestrian zone on Saturdays and Sundays. And I can rest assured that I won’t need need to get morning espresso fix in the city before heading to the trade show centre (like I would in any German city) because the cafés in Bologna Fiera serve excellent espresso for 1.20 Euro and a 1 ½ littre bottle of water retails for 3 Euro. Water and caffeine, two trade show essentials! Click on the link below for an overview of some of my favourite brand discoveries at this year’s Cosmoprof Bologna! Cosme Tokyo is getting bigger and better every year. 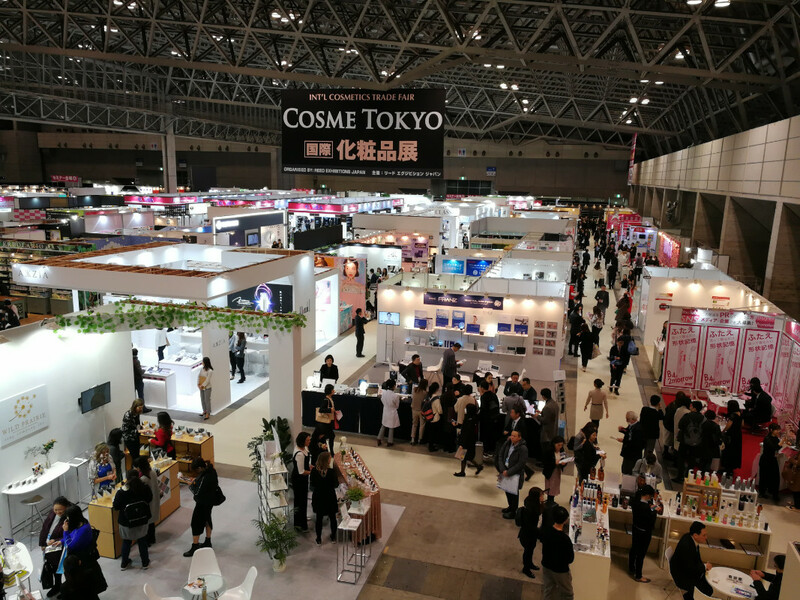 The 2019 edition of Japan’s largest trade show for retail cosmetics featured 780 exhibitors from 35 countries. And over 25.000 visitors attended during the three days of Cosme Tokyo and its sister fair, Cosme Tech. It was one busy and very cool show! My Insta feed shows almost 30 mini brand/product profiles which is usually my Cosmoprof Asia average! Anyway, it was an exciting trade fair: I met a lot of interesting new brands (and some old favourites). And if you’re interested: here is my Cosme Tokyo 2018 show report. 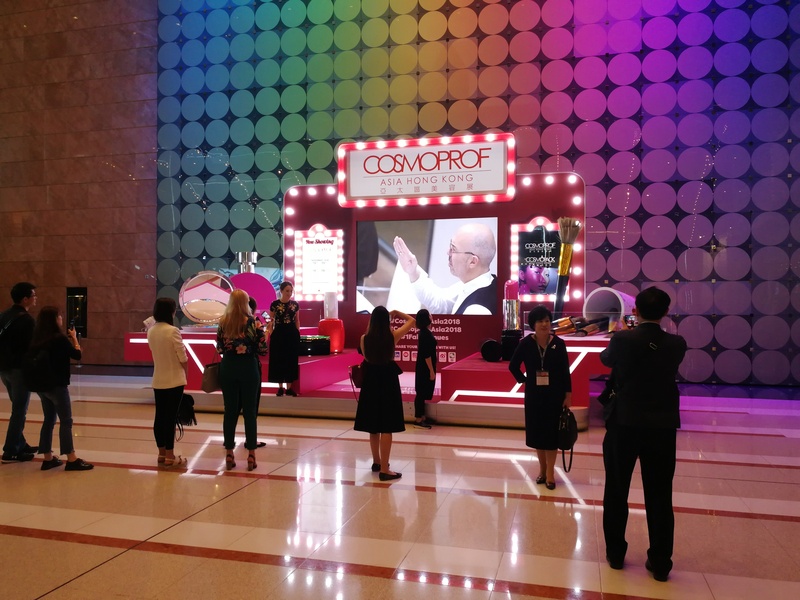 For more on my favourite brand discoveries and the key trends at Cosme Tokyo 2019, click on the link below! 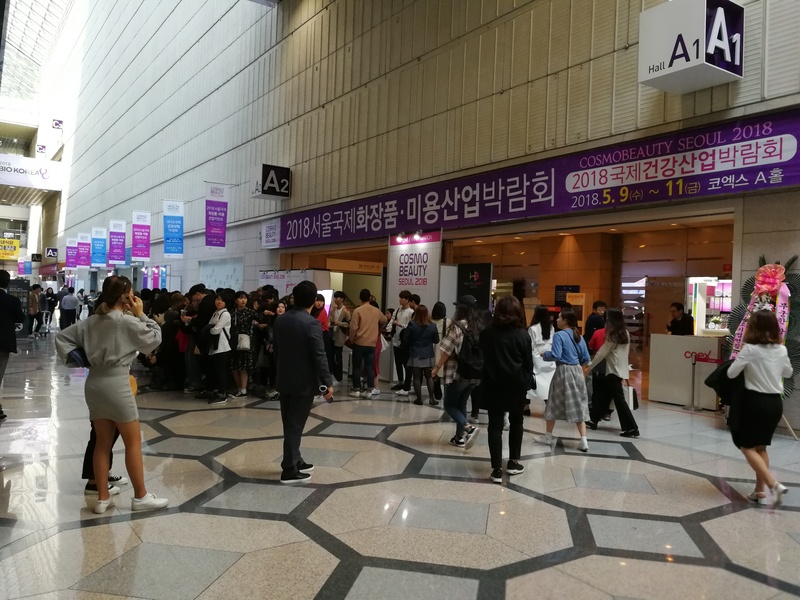 The 2018 edition of Korean C&T trade Cosmobeauty Seoul took place from 9th-11th May in Seoul’s COEX exhibition centre. It was my third Cosmobeauty visit (for more information, check out my reviews for Cosmobeauty 2016 and Cosmobeauty 2017) and – just like last year – it was a very worthwhile trade show. I noticed more Western faces this year (and they were not just buyers) and many international K-Beauty/Asian beauty bloggers. It was an exciting two days. And without further ado: click on the link below for a list of my favourite brand discoveries (and re-discoveries!) of Cosmobeauty 2018. Here are the PDFs of my three most recent articles for SPC Magazine: show reviews of Cosmoprof Asia 2017 (February 2018 edition) and Cosmetokyo 2018 (April 2018 edition), plus one of my favourite SPC repeat assignments: Germany Country Profile 2017; a round-up of what’s been happening in the German beauty retail market over the past year! Anyway, enjoy the articles. Copyright: HPCi Media. I just returned from Bologna in Italy where I visited the 2018 edition of Cosmoprof Bologna, the largest C&T trade show in the world. This was my third time at Cosmoprof Bologna although the first visit in 2016 was a bit of an overnighter (I still managed to post a long 2016 trade show review, check it out here!). And if you’re interested: here is my Cosmoprof Bologna 2017 trade show review. 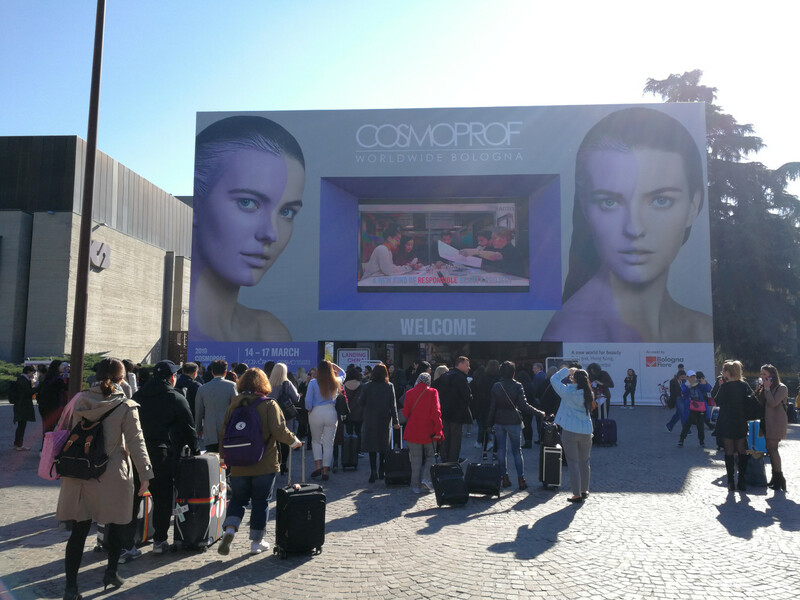 According to organizers BolognaFiere and UBM, more than 250,000 visitors attended Cosmoprof Bologna 2018 which is an increase of 11% compared to the previous year. Exhibitor numbers grew to 2,822 companies and brands from 70 regions; this figure also includes exhibitors at Cosmopack, the packaging/manufacturing/OEM side of Cosmoprof. The format of the trade show changed again this year. 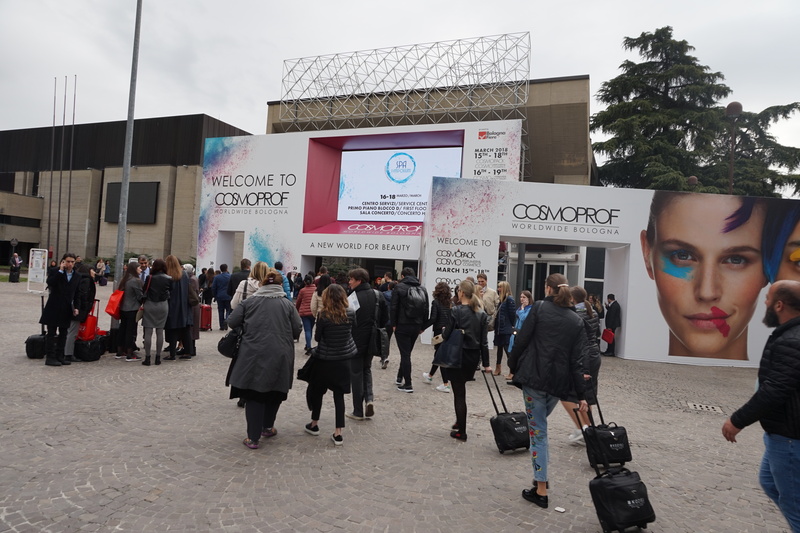 There are three parts of the show: Cosmopack, Cosmo Perfumery & Cosmetics (including Cosmoprime) and Cosmo Hair & Nail & Beauty Salon (the total of these three shows is “Cosmoprof Bologna”). Cosmo Perfumery & Cosmetics focuses on retail/finished cosmetics (anything you might see in stores) while Cosmo Hair & Nail & Beauty Salon is for professional hair and nail beauty brands. The Cosmoprime trends hall – a trade show feature that had been introduced in 2017 – returned in 2018; as did the Extraordinary Gallery which was divided into two sections this year: Extraordinary Gallery Green Selection (for indie and newcomer brands with a green positioning) and the “normal” Extraordinary Gallery; plus a Green Prime selection for masstige and luxury green-positioned brands. Still with me? 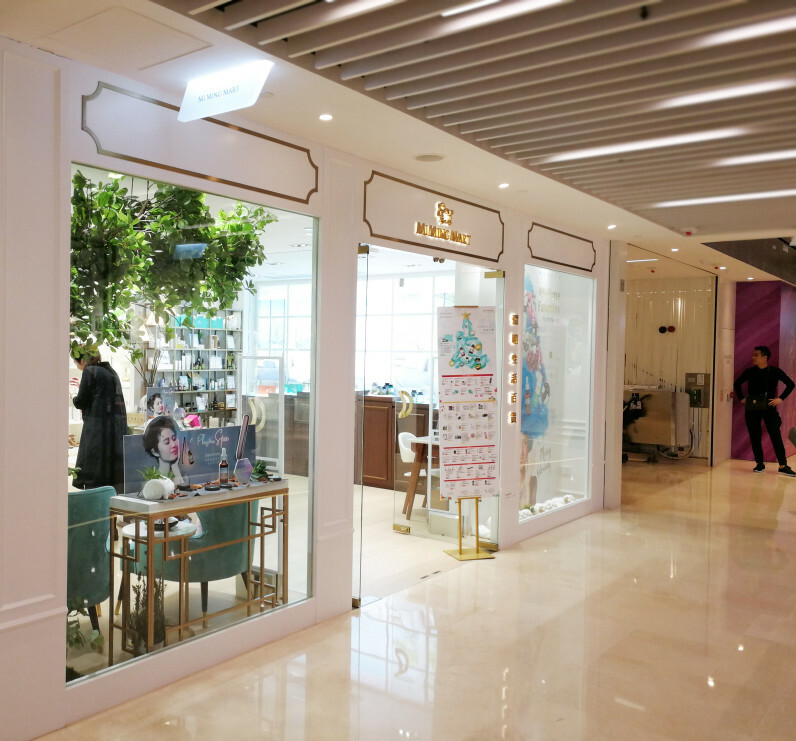 Also in Cosmoprime: the Tones of Beauty showcase, an area that is dedicated to multicultural and ethnic brands. To make things even more confusing there were two sets of opening times this year: Cosmopack, Cosmo Perfumery & Cosmetics and Cosmoprime opened from 15th to 18th March 2018; Cosmo Hair & Nail & Beauty Salon took place from 16th to 19th March 2018. My main focus this year was Cosmoprime (I spent 2 ½ days there; it was just so packed with interesting brands and trends!) but I also spent half a day at the Green & Natural Hall 21N and one day wandering around the “normal” Cosmo halls (including the country pavilions). And after this rather long introduction: click on the link below to read more about my favourite brand discoveries at Cosmoprof Bologna 2018. And be warned: this is my longest trend-traveller.com trade show review yet! As always, brands are not listed in any particular order although I have added separate sections for newcomer brands and men’s brands (of which there were many! ).